This is the book that ups the stakes, changing the series from one filled with high school angst to a time-traveling, epic love story. Okay, so that might sound a bit cheesy, but really, the route Passion takes was a lot more enjoyable for me than the first two books. I enjoyed the prison-like boarding school in Fallen, but when Torment virtually retconned itself, starting Luce all alone at another new school, that’s when I got annoyed. Thankfully, this time around, there are no schools or the politics that go along with them in sight. At the end of the last book, all I thought was that Luce had become a complete idiot, jumping into danger, for no apparent reason. I still thought that at the start of Passion, but soon enough my feelings changed as we got to watch her grow with each experience. Luce is effectively traveling back through time, to each of her past lives, with Daniel hot on the chase, trying to bring her back. With each trip she gains a new perspective on her and Daniel’s relationship, the struggles they’ve both endured and the depth of his feelings for her. So it is sort of like a book full of living flashbacks. You might find yourself a little frustrated with the repetition of it all though. I know for a while I did. Luce would go back to a previous life, try and talk to previous Daniel, watch her previous self die, then travel back to another life. Repeat this and you have the book’s formula. After a while, it got tiresome, and I was hoping for something to change. What helped the story though, was the dual POV’s this time around. Where the first two books were almost solely told from Luce’s perspective, here we were intertwined in the minds of both Luce and Daniel, alternating between chapters. I enjoyed both POV’s, but having multiple brooding Daniels interacting with each other, was just a bit more fun. A cheeky new character gave Luce’s journey some perspective, rather than being caught up in her own head in a foreign time. Bill, the short and stony gargoyle, yes I did say gargoyle, was a fun companion. He made me laugh on multiple occasions with his sometimes pervy, usually sarcastic nature. I really hope this book gets made into a movie someday, although it would no doubt be costly, with all of the different time settings throughout history. It’s such a visual experience. That’s probably where my enjoyment started to filter in. Once I realised the repetitiveness was just going to be a part of it, I could enjoy it for what it was. It was really interesting seeing Luce interacting with the Daniels of the past, moving in opposite directions through their history. With each step back in time, the Daniels she encounter know less and less of what’s to come for them, yet Luce’s knowledge of their lives together only grows vaster. I thought the way Lauren handled the aspects of time travel throughout the book were done really well, paying attention to things like the space-time continuum and paradoxes. It helps sell the possibility that any change in the past could have disastrous effects on Luce’s present. Finally, things have begun to fall into place. Even though, the repetition may seem unnecessary, finishing the book, I feel really appreciative of everything gained from it. The mystery of the series, regarding the curse, has kept me interested with its vagueness so far. I love when I can’t figure things out. 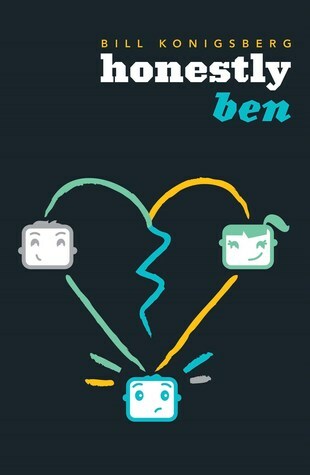 Plus, there is so much romance in this, however short and fractured each cycle may be. It’s a book for character growth and understanding. I’ve now changed my opinions on some of the characters as new sides of them were shown. I came away from this, renewed and begging for the final instalment. People who’ve read the first two and aren’t sure on whether to continue. You need to read this. Hush, Hush fans will probably like it too. 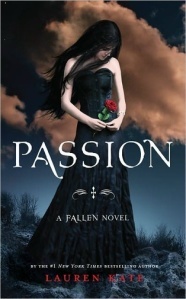 Omg I cant wait to read my copy of Passion! your review sounds so good. Im still trying to finish Torment. thanks for dropping by my page brett. While this book didn’t solve anything, but I loved all the historical elements that Lauren Kate put into the book. Great review!